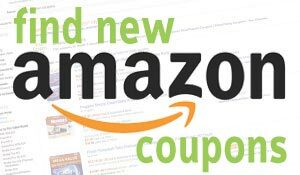 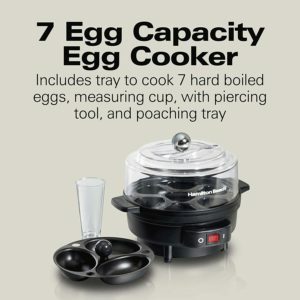 Hamilton Beach 25500 7 Capacity Electric Egg Cooker/Boiler/Steamer and Poacher for Soft, Hard Boiled or Poached Options with Ready Timer Black is now available at Amazon.com for just $12.74 (REG $24.99) (As of 14 April 2019, 10:05 PST – Details) with $12.25 (49%) Savings. 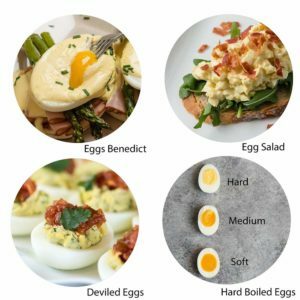 Breakfast just got easier, simpler and more delicious! 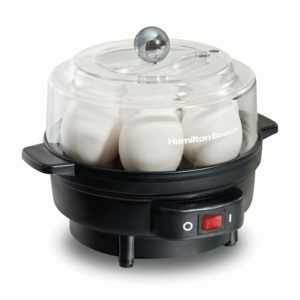 Whip up delicious hard-boiled eggs, eggs benedict, egg salad and all of your favorite egg dishes with the Hamilton Beach egg cooker. 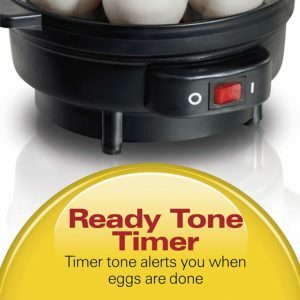 The Hamilton Beach Egg Cooker helps you make eggs in a matter of minutes, for quick and easy breakfasts, snacks, side dishes and more. 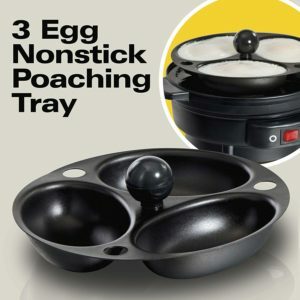 The removable egg tray cooks up to 7 hard, medium or soft-boiled eggs, while the egg poaching tray lets you poach up to 3 eggs at once.